Corian & Tristone Bespoke Furniture. Nokk are able to create purpose-made furniture using Corian & Tristone materials; create hardwearing, visually-striking designs for your workplace. Corian & Tristone are the perfect substitute for traditional stone materials, often proving more cost-effective & able to provide more resilience against substances. 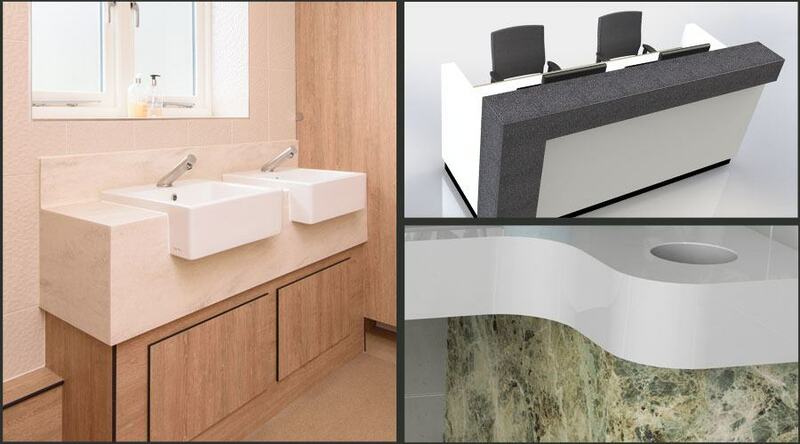 Reception Desks, Vanity Units, Bedroom Furniture, Combi Units, & more; our team are able to create a wide range of products for your project. With over 25 years manufacturing experience, our team’s expertise allows us to manufacture a wide-range of styles. Please get in touch for a pricing.